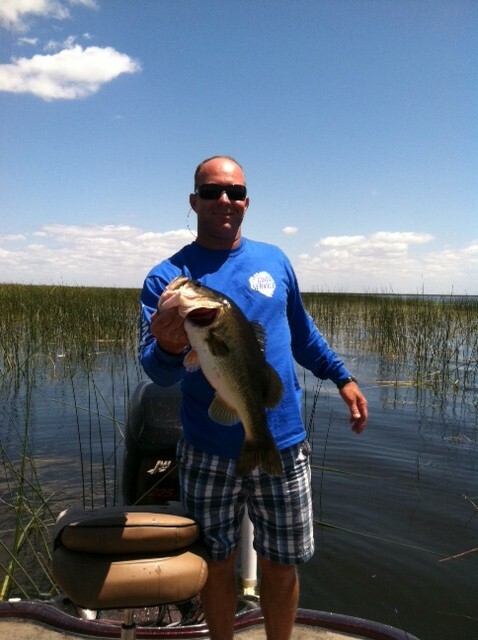 Lake Okeechobee has some of the best largemouth trophy bass the world has to offer. If you are planning a visit to Florida for a vacation or business trip and want to go bass fishing with a real bass guide then give us a call. Captain Bobby Adams is an experienced guide and one of few Coast Guard certified boat captains in the local area. No one will work harder or go the extra mile to make sure your bass fishing trip is a successful one. All rates include guide, fuel, boat, transportation to and from the boat ramp, all equipment needed to fish using artificial or live bait, and non-alcoholic beverages. Live bait is NOT included in the prices above. A deposit of $50 is required to confirm your reservation. We accept cash and all major credit cards. You will need a Florida Freshwater Fishing License to fish with our Bass Guides or to fish on your own in Florida Lakes. To get your Florida Fishing License you can simply visit myfwc.com or call them toll free at 1-888-FISH FLORIDA!